Behold one of the best things I have bought in a long time, a label maker. I’m starting to turn into one of those crazy people who just labels anything and everything just for the sake of it. Jokes aside, it’s a really nifty little gadget to have, you can spruce up jars in the kitchen, make trendy greetings cards and use it to label make-up drawers. 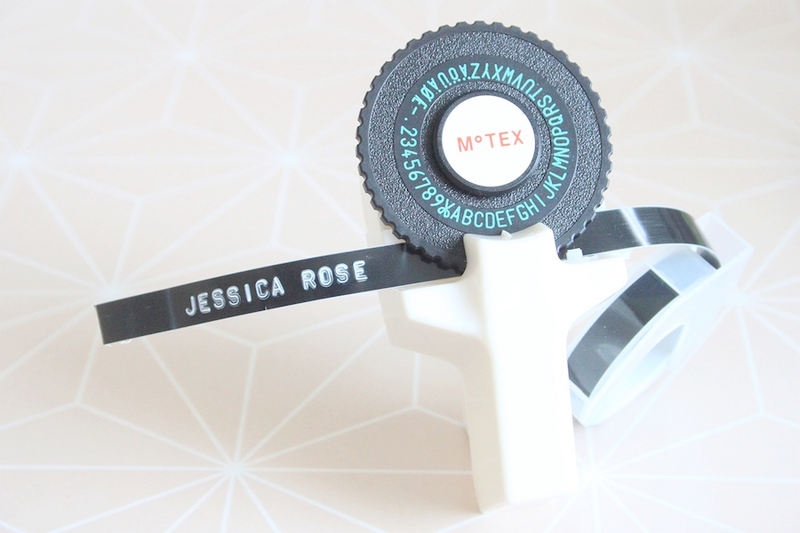 The label maker is super easy to use, you just turn the wheel round to a desired letter and squeeze the handle to punch it in. The backing of the tape is adhesive too meaning you don’t have to mess around with any glue. I got mine from ebay for a great price, you can even buy neon coloured tape if you prefer bright colours.